The latest version of Infor SunSystems (v6.3) delivers exciting new features and functionality. 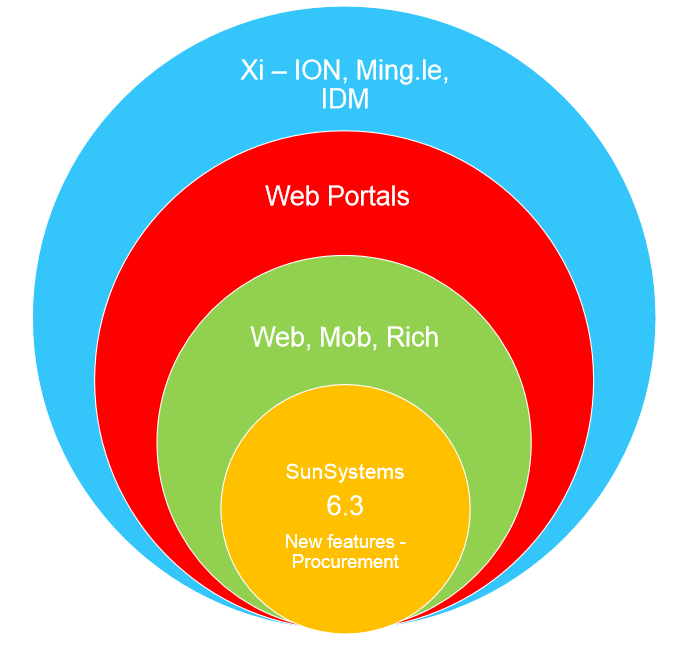 SunSystems v6.3 runs on the Infor OS (formally Xi) platform, which includes ION, Ming.le, Homepages, Infor Document Management (IDM) and other components delivering improved system administration, greater application integration, enhanced collaboration and analytical capabilities. Join us for a webinar where we will provide you with an overview of the core features of SunSystems v6.3 and give a brief introduction to the key modules in the release including, IDM, Customer & Supplier Web Portals and Requisitioning. New static data on-boarding – control the on-boarding of new static data (chart of accounts, analysis codes, assets etc) whereby reference data can be automatically created as a draft and cannot be used in processing until reviewed and approved. Improved multi-currency functionality – review Currency Rate Types and enhanced controls for use with Ledger Entry/Import, Ledger Revaluation and Payment/Collection runs. Withholding Tax – Withholding Tax functionality has now been incorporated into the core solution and enhanced to manage multiple tax types and exemptions. Enhanced Homepages - information is consolidated into a single source and offers personalised tools that allow users to work in the most efficient way possible. Usability Improvements – covering configuration management, business unit administration, scalability, performance and web-enablement.